A great benefit of cooking at home is being more in control of the sodium levels in food. Many people worry that in order to cut back on sodium they must completely cut out canned products that are much more cost effective to use. Although it is true that canned products can have high amounts of sodium, it’s still possible to utilize canned foods for home cooking. The most important thing to do is to read the label. Many products are available in low-sodium or no-sodium versions. It can be a fun grocery shopping game to compare the labels of the reduced-sodium foods to that of their full-sodium counterparts. For instance, 1 cup of canned green beans has 800 milligrams of sodium, while 1 cup of reduced sodium green beans only contains 400 milligrams of sodium.3 Both contain no cholesterol, 2 grams of fiber, 2 grams of protein, and 40 milligrams of calcium.3 They taste identical as well. If you want to avoid excess sodium in your diet, there are a few huge culprits to watch out for that you may not think of. The American Heart Association recommends people check labels to find low-sodium options for breads, rolls, cold cuts and cured meats (such as deli meats), and premade soups.6 They also recommend avoiding many poultry products due to increasing sodium content with certain preparation methods.6 Lastly, pizza and sandwiches can quickly add up to more than the recommended daily limit for sodium intake.6 In pizza, the bread and cheese are the major culprits. Try a flatbread with less cheese and more veggies to reduce sodium levels on this favorite. With sandwiches, it’s not only the bread and cheese but also the deli meat. They suggest half a sandwich with a side salad, or you can skip the cheese, half the meat, and add extra veggies.6 With either option your blood pressure and heart will thank you for it. Get The Facts: The Role of Sodium in Your Food. Centers for Disease Control. CDC. June 2012. Web. 30 November 2015. Scientific Report of the 2015 Dietary Guidelines Advisory Committee. USDA. Department of Health and Human Services. February 2015. Web. 30 November 2015. Calorie King. Calorie King Site. 2015. Web. 30 November 2015. Meat Curing. Frederick K. Ray. Oklahoma Cooperative Extension Service. n.d. Web. 30 November 2015. Historical Origins of Food Preservation. Brian A. Nummer. National Center for Home Food Preservation. May 2002. Web. 30 November 2015. 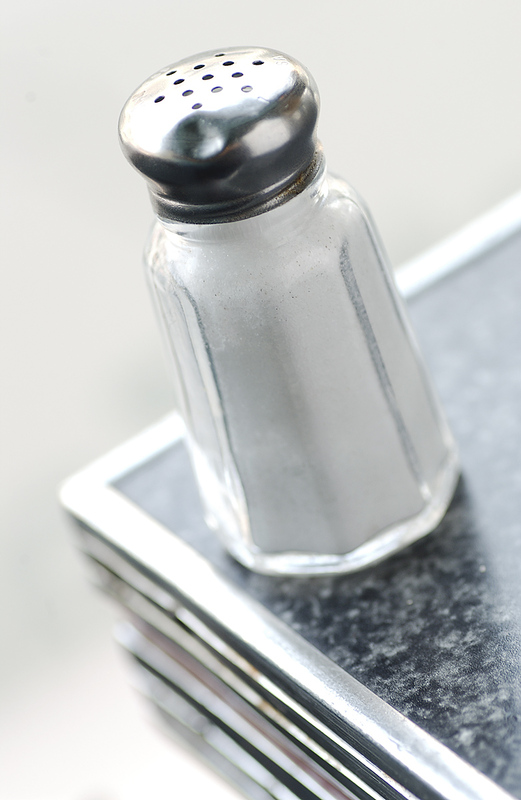 The Salty Six- surprising foods that add the most sodium to our diets. Suzie Sodium. American Heart Association. 7 October 2014. Web. 30 November 2015. This entry was posted in Food, Food Facts, In the Kitchen and tagged diet, food, Health, History, Salt, Sodium. Bookmark the permalink.